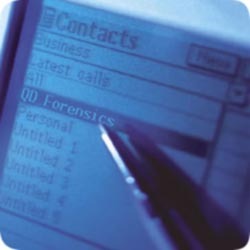 QD Forensics Pty Ltd is a leading provider of forensic document examination, handwriting and signature comparisons and digital examination services to state and federal government departments, private investigators, companies, members of the legal community and private individuals. Document examination and Digital examination evidence is used in a wide range of investigations and circumstances, the outcomes of such examinations can provide valuable primary or supporting evidence and generate new lines of inquiry in ongoing investigations. If you are unsure whether your investigation would benefit from our services please make contact so that we can discuss your matter further. John Ganas, the Director of QD Forensics is a recognised expert with over 28 years experience in Forensic Document Examination and holds a Degree of Bachelor of Science, a Post Graduate Diploma in Forensic Science, a Graduate Diploma in Computer Science, an Associate Diploma in Applied Photography and a Certificate IV in Biometric Technologies. He has extensive court experience, regularly providing specialised lectures and training to various law enforcement groups and government agencies, and a sessional lecturer on Document Examination at La Trobe University, Swinburne University and The University of Melbourne. He is a member and past president of the Australian and New Zealand Forensic Science Society (ANZFSS) Vic Branch, a member and past chairperson of the Senior Managers of Australian and New Zealand Forensic Laboratories (SMANZFL) Document Examination Specialist Advisory Group, a member of the Australasian Society of Forensic Document Examiners (ASFDE), a member of the Australian and New Zealand Society of Evidence Based Policing (ANZSEBP) and a member of the International Association of Financial Crimes Investigators (IAFCI).